BARTENDER® Magazine pulls names from state Alcoholic Beverage Control Departments and is mailed to only those establishments that can serve a mixed drink on-premise. It is addressed to the owner. The circulation and exposure has grown from 7,000 to more than 105,000 to date and has become the largest on-premise liquor magazine in the country. BARTENDER® Magazine is proud to celebrate 35 years of serving the bartending industry. 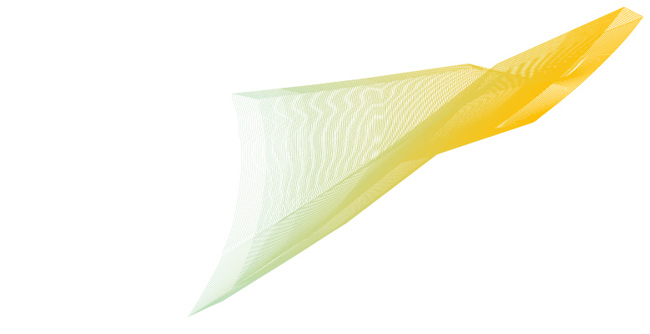 Durability + Design has distinguished itself as the go-to resource for industry professionals. Durability + Design readers are the architects, designers, contractors, building owners, managers and suppliers who are on the ground, making real-life decisions about techniques, materials and equipment. Durability + Design provides a unified, attractive, interesting and information-packed resource for anyone whose work involves the selection and use of architectural coatings and related materials. Coverage includes a broad range of technologies, from building-envelope systems such as air barriers and roof coatings, to high-performance finishes, to interior and exterior paints and coatings, to the latest "green" products. Our phone and fax numbers will remain the same. Please update your records and send all future correspondence to our new address. A 96-page internal New York Times report, leaked exclusively to Myles Tanzer at BuzzFeed, paints a dire picture of the storied newsroom's struggling adjustment to a digital world. The report, the findings of a committee of digitally-oriented staffers lead by A.G. Sulzberger, took six months to complete. The report focuses on the new wave of digital competitors such as the Huffington Post and BuzzFeed, for the most part ignoring legacy competitors. Nieman Journalism Lab staffers Justin Ellis, Caroline O'Donovan and Joseph Lichterman, read through the lengthy report and picked out the highlights. 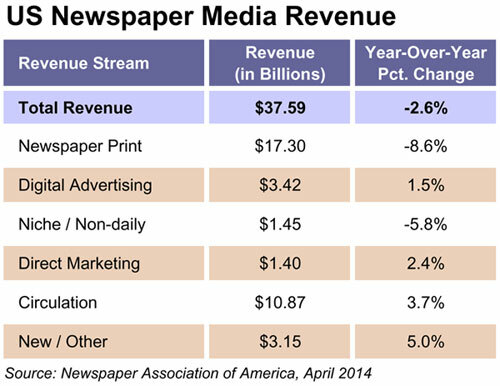 According to recently released preliminary data by the Newspaper Association of America, circulation revenue for U.S. newspapers recorded a second consecutive year of growth, rising 3.7% to $10.87 billion in 2013. Overall, total revenue for the multiplatform U.S. newspaper media business amounted to $37.59 billion in 2013, a slight decline from $38.60 billion in the previous year. Proceeds grew in digital advertising, direct marketing and newly developing sources, while income from traditional print advertising channels declined. This trend, says the report, reflects an industry evolving its business model by taking advantage of developments in technology, consumer behavior and advertiser interest to grow audience and diversify its revenue stream. "Newly-developing and other sources," those outside of advertising and circulation, generated about 8% share of revenues, growing 5% year-over-year to $3.15 billion. The new sources include digital agency and marketing services (up 43%), event marketing (+5%), e-commerce (-4%), commercial printing (+4%), distribution of other products to consumers (-2%) and income from royalties, licensing, rental, waste and scrap sales (+3%). Total revenue for 2013 was $37.59 billion, a decrease of 2.6% from the prior year. Within that total, $23.57 billion came from advertising across all platforms, $10.87 billion from circulation and $3.15 billion from newly-developing and other sources. Revenue from digital channels (advertising, circulation, digital marketing services and other) rose 5.8%, and accounted for 12% of total industry revenue. The group of newly-developing and other revenue increased 5% overall. The component of digital agency and marketing services, where newspaper media companies tap into interest among local businesses in the digital environment, increased 43%. Digital advertising rose to $3.42 billion and accounted for 19% of advertising revenue; pure-play (digital only) advertising rose 14%. Mobile advertising revenue, though a small portion of overall total revenue (less than 1%), jumped 77%. The $23.79 billion in advertising represents 63% of total revenue in 2013, declining 6.5% from $25.2 billion in 2012. 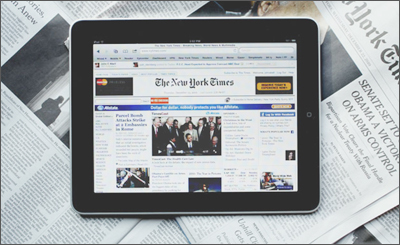 Traditional print advertising was reduced to $17.3 billion and makes up less than half of total revenue. Advertising in the traditional printed daily and Sunday newspaper decreased 8.6% in 2013 from the previous year. Retail advertising dropped 8%, with national advertising also declining by 8%. Classified advertising was off 10.5%. An estimated 24% of the $3.42 billion in digital advertising is "pure-play" digital advertising. This is advertising that appears only on newspaper digital platforms, not in the print products. Within the circulation revenue total of $10.87 billion, digital-only circulation revenue grew 47%, and print- and digital-bundled circulation increased 108%. With some companies shifting to all-access packages, print-only circulation revenue from home delivery and single-copy sales dropped 20%. Revenue outside of advertising and circulation, from newly-developing and other sources, accounted for just over 8% of total newspaper media revenue, says the report. Digital agency and marketing services, which some newspapers established in 2012 and others launched in 2013, jumped 43%. Event marketing dollars rose 5% while e-commerce earnings slipped 4%. Dollars gained from commercial printing increased 4%, while revenue from distribution of other products to consumers dipped 2%. Other revenue activities, such as income from royalties, licensing, rental, waste and scrap sales, climbed 3%. N.B. NAA projections are based on a broad sample that includes public and private company data collected on a confidential basis. 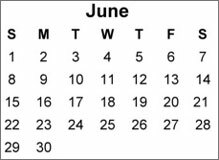 Data is normalized for a 52-week reporting period in both years. According to the FOLIO 2014 B-to-B CEO Survey, print advertising accounted for 52.5% of total revenue last year, higher than it was in 2010 at 52.4%. That's actually more surprising when you look at what's been expected from print advertising on a year-by-year basis, says the report. In each of the last five surveys, respondents have underestimated the following year's revenue from print. Last year, for example, the group thought print advertising would make up 49.5% of total revenue in 2014, three percentage points less than what it turned out to be. The gap between expectation and reality has run anywhere from less than 1% to more than 6% since 2010, but always lower. Digital media, while growing, has seen the opposite effect. B-to-B media CEOs are consistently overrating its revenue potential; last year, by 3.7%. Eight percent of those surveyed invested $500,000 or more in technology last year, while 44% crossed the $25,000 mark, both 5-year highs. Just 9% didn't make significant investments in tech. A majority of those investment dollars are aimed at bolstering digital media capabilities through upgrades to websites, CMSs, webinars, social media and video, claims the report. A quarter of the CEOs surveyed say they're planning to add digital media staff in 2014. It's a different story with print. Respondents' companies will not make anything more than a minimal investment in print products this year. A quarter of them will shift resources away from ink and paper. Digital's growth potential has been consistently and overwhelmingly labeled the fastest-growing part of respondents' businesses since 2010. Digital media has also been the most profitable piece of business over that period, reliably generating margins above 16%. Not surprisingly, CEOs are expecting digital media to continue driving growth in 2014. More respondents are expecting increased revenue there than from any other source, but their enthusiasm has been tempered. Revenue forecasts are close to 3% lower than they were last year. There's evidence that B-to-B media company CEOs are now turning to a new golden goose: live events. As a percentage of total revenue, event earnings have ticked up 2% in each of the last two years, even though expectations have called for less than half of that growth (events made up 12.2% of total revenue in 2014). One-third of respondents also claimed live shows as one of their fastest-growing business segments last year, only trailing digital media. Profit margins have been above 17% since 2011. Companies have more events on the way, says the report. Of changes anticipated for 2014, 46% of respondents say they're planning on launching a new event, up from 32% last year and almost double the next most commonly anticipated change, the launch of a digital startup. Additions to event staffs highlight the emphasis even further, with a quarter of the companies surveyed planning to add event professionals in 2014, with a third of the respondents calling creating live events one of their top 3 priorities for the year, says the report. According to a new series of questions aimed at tablet and mobile publishing for the 2014 survey, companies have rolled out a responsive design site, a dedicated mobile site or both, with the crowd evenly split between two main options: 39% have opted for responsive design; 36% have developed sites specifically for mobile. There's a significant difference in mobile strategy between companies generating at least $5 million in revenue and those falling below that threshold though. Mobile adoption is almost universal for large publishers now (only 7% say they haven't opted for a responsive or mobile site yet), while more than 40% of smaller publishers have stuck with desktop-only sites to this point. Looking ahead, 85% of the CEOs surveyed think they're headed for revenue increases in the next 12 months, another 5-year high, compared with just 12% who think earnings will stay flat and 1% who believe they're headed for a downturn. A review of records is required for all publications audited by Verified. The review consists of an audit of printing, distribution, subscription and financial records in support of reported circulation. The Initial Audit Report usually covers a six-month period. Thereafter, the review is conducted annually. The review is completed on-site or at Verified's headquarters. You will be notified in advance of the location and date of the review. If the review will be conducted on-site, please sign, date and send back the first page of the notification letter to confirm the appointment. We need confirmation within 10 days of receipt of the notification letter. If the review will be conducted at Verified's headquarters, please be sure to ship the records to us by the date indicated. Most of the documents required for the audit are the same ones that you will use to fill out the audit workbook or Quarterly Printing and Distribution Report (QPD). For that reason, please be sure to retain these documents until after the review has been completed and the audit report issued. All audit materials must be retained for two years after the completion of the audit. We need your cooperation in participating in the review on the date scheduled. On-site audits can be rescheduled only in extenuating circumstance. If an appointment is cancelled less than two weeks (14 days) prior to the audit date, Verified reserves the right to levy a cancellation fee. Due to our efforts to schedule visits in the most cost-effective manner, your audit may be conducted later than the previous year. If this will result in your receiving your Audit Report later than you would like, please let us know. We will be happy to furnish you with an additional Publisher's Statement. We will provide a list of required materials prior to the audit. The more complete your preparation, the more efficiently the audit may be completed. Please be sure to contact us with any questions about the review as soon as possible. All documentation should be organized and easy to access. Label reports and files for easy identification. For on-site reviews, arrange adequate space for the auditor to work, preferably near the records and the individuals the auditor will be working with. Have a desk and chair ready in a clean, well-lit area. Access to an electrical outlet is also appreciated. 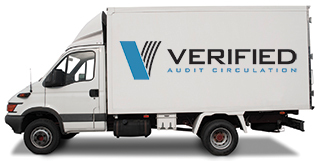 On-site audit times vary, but please be available the entire day(s) of the audit. We know that you have a busy schedule and endeavor to make the audit process as efficient as possible. Make sure that the auditor knows whom to contact with questions. Advise others on your staff about the audit as they may be asked to provide information as well. Verified does not require you to provide special documentation. There is no need to change your circulation systems as long as you are able to provide the information required for the audit. Complete and accurate records are essential for a successful audit. Following the review of records, a letter summarizing the review, including a list of materials required to complete the audit (if any), an explanation of adjustments to reported circulation, recommendations for future record keeping and reporting, is provided. If changes to your reporting and record keeping are suggested, please implement them as soon as possible to prevent future problems. All information reviewed by Verified is used solely for the purpose of the audit and is held in strictest confidentiality. At the completion of the audit, all materials will be returned to the publication in a timely manner or destroyed at a publication's request.